Let me just keep everyone’s facts straight, the mountain is Mt. 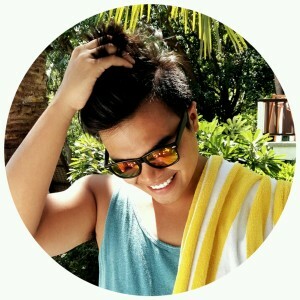 Palay Palay not Pico De Loro. 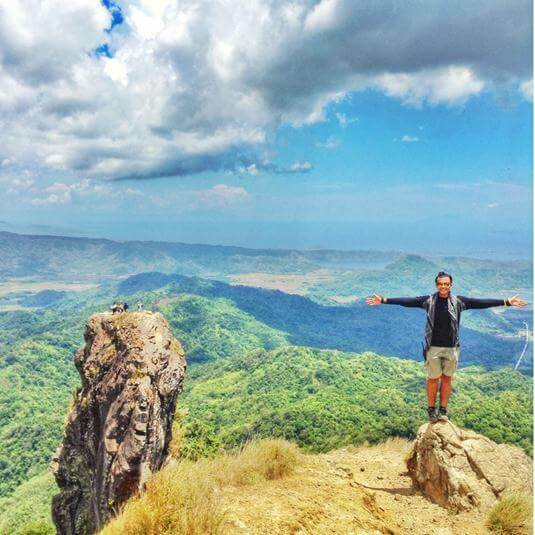 Pico de Loro is its peak that is located near the summit of Mt. Palay Palay. OK? Well anyway, I just love this mountain, I think it’s my fourth time climbing this and I still love the experience of climbing it and the view from the top. I’m that person who doesn’t want to spend its time on something that I’ve already done, like climbing this mountain, but there are things that this mountain always makes me so giddy every time I visit it. No wonder that some mountaineers recommend this mountain to those who are just starting in mountaineering. 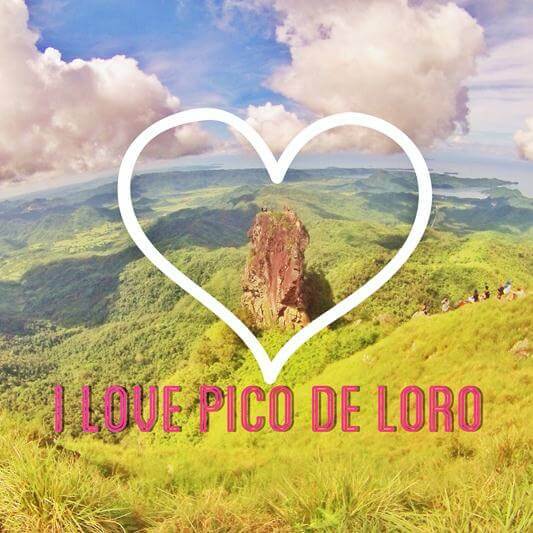 So I listed 3 reasons why I love Pico De Loro, it may be different from yours so let me here you reasons, comment them below. You feel me now? That monolith erected near the summit is just beautiful. 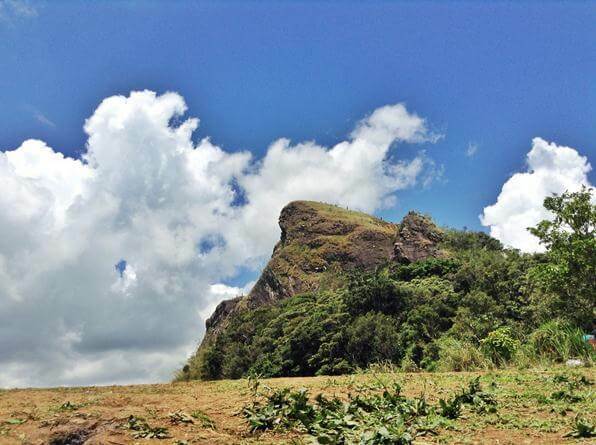 It is perfectly located with its amazing background of plains, trees and sea of Cavite. I just love it when you are standing from the summit and then you’ll just stare at the monolith and your mind is making all those theory how it got there. It’s just beautiful, picturesque and amazing. I can’t help myself from climbing the monolith the second time I climb the mountain. When you reach the top of the monolith, it is all worth it but just be careful because it is very dangerous. I love the trail in this mountain. It is challenging for a minor-climb type of mountain. 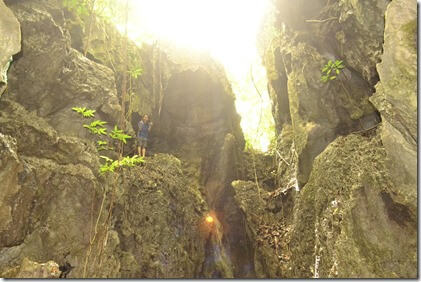 On the first part, you have to trek on an ascending trail, and then for some minutes you’ll realize that you are descending on the stairs-like roots of the trees around the trail, then after that you have to trek your way to the basecamp with a pretty steep trail. 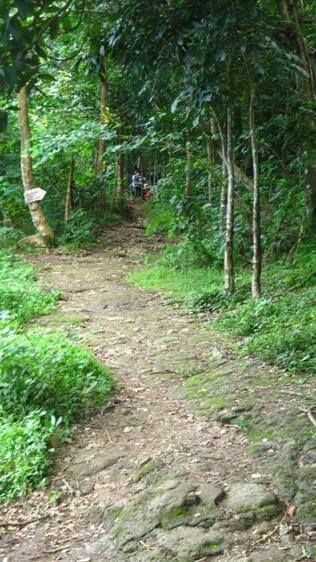 It very challenging and the trail would really take you hours before getting to the base camp. Some are climbing this mountain in preparation for a major climb, one time I got to talk to one mountaineer where she already have climb the mountain for 2 times in 1 day because she’s preparing for G2 climb. Well, ikaw na te! One more reason to love Mt. Palay Palay is its campsite. It has a great view of the summit and the monolith. After trekking for hours to reach the campsite, you can just sit down, make a coffee and watch the orange sun burst into the sky and breathe into the cold breeze of the mountain. Having a big campsite is both advantage and disadvantage in a mountain. Advantage, because the convenience of the mountaineers staying for the night in that campsite will surely be satisfied. Disadvantage, because it may cause mass climbing which results to mountain destruction. Hopefully, every mountaineer should be responsible enough to keep the mountain reserved and clean, especially this one. 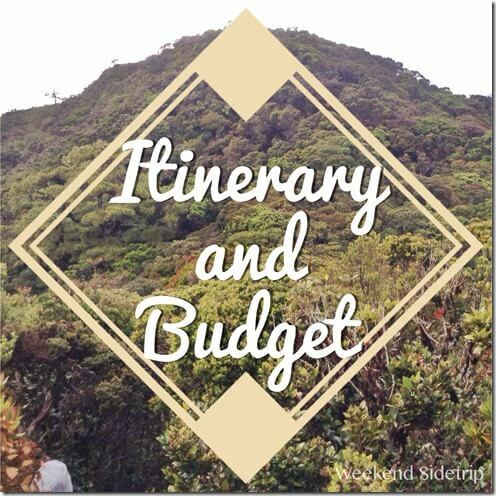 From to Coastal terminal, ride a bus to Ternate terminal. That would take you 1.5 hours of bus ride. Then rent a jeep or tricycle to DENR.